This is how your life ends: Not with a whimper, but a scream! Jude Parish is afraid. The former violent crimes cop turned bestselling true crime author has a fear-filled demon lodged inside of him. A demon so real he can only imagine a slimy reptilian beast with scaly skin, black eyes, and razor-sharp fangs having taken up residence inside the place where his once confident and fearless soul resided. Now, in the wake of his literary success, the ever anxious Jude is hoping to lead a quiet, peaceful life in the idyllic Adirondack vacation town of Lake George, New York with his new pregnant wife, Rosie, and Jack, his young son from a previous marriage. But when Jude becomes the accidental witness to a bizarre “kill game” in which the killer, video game designer and master of disguise, Hector “the Black Dragon” Lennox, insists on recording the screams of his victims prior to shooting them dead, the ex-cop’s life is turned upside down. How will the kill game end? Like all violent video games, it will end in death. But it won’t be “Game Over” until Hector Lennox catches the screams of his tortured victims. The best quality of this novel was the high intensity. The reader will not have to read far before hitting plenty of action. The serial killer appears very realistic, the reader won't have to deal with a phony killer. The main character, Jude, was a likable character. He is protective, strong, and smart. The secondary characters were fun to get to know, particularly Jude's family. It isn't easy to make a character too personable in a thriller/mystery, but the author accomplishes that easily in this novel. One of Jude's best characteristics was his ability to admit his fear; too many characters are portrayed as "perfect." Jude's small imperfections were what made him so easy to like. Many scenes were action-packed, very fast-paced. The reader will be entertained throughout the novel. There is always a note at the beginning of each chapter indicating the setting, day, and time; this is always helpful in a mystery/thriller book. The book is not very predictable, there are quite a few twists and surprises; the reader will be kept on his/her toes. Overall, this is a great book for reading on a long car drive or commute. This book is recommended to adult readers. Vincent Zandri is the No. 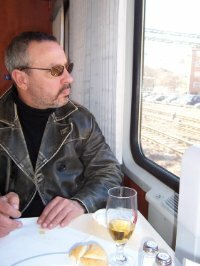 1 International Bestselling Amazon Kindle author of THE INNOCENT, GODCHILD, THE REMAINS, MOONLIGHT FALLS, CONCRETE PEARL and the forthcoming MOONLIGHT RISES. He is also the author of the bestselling digital shorts, PATHOLOGICAL and MOONLIGHT MAFIA. Harlan Coben has described his novels as "...gritty, fast-paced, lyrical and haunting," while the New York Post called THE INNOCENT, "Sensational...Masterful...Brilliant!" In March, April and May of 2011, he sold more than 100,000 Kindle E-Books editions of his novels, and is rapidly closing in on the 200K mark all totaled. An MFA in Writing graduate of Vermont College, Zandri's work is translated into many languages including the Dutch, Russian and Japanese. An adventurer, foreign correspondent, and freelance photo-journalist for RT, Globalspec, IBTimes and more, he divides his time between New York and Florence, Italy. You did a wonderful jub of describing this novel. 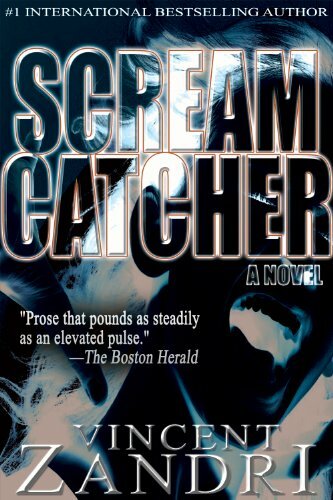 I'm going to look for "Scream Catcher." I hope that when my novel comes out you can be as supporting to me.